I just began using Spotify. Can I download music to my MP3 player directly or do I have to get it to Window Media Player? If I need to get music to WMP, how do I do that? Spotify is a streaming audio service which provides millions of music to soundtrack your entire life. It provides a variety of content from record labels and media companies. 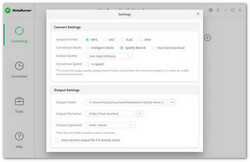 Spotify users may have the same question with the above user: how to download Spotify music for offline listening anywhere and anytime. 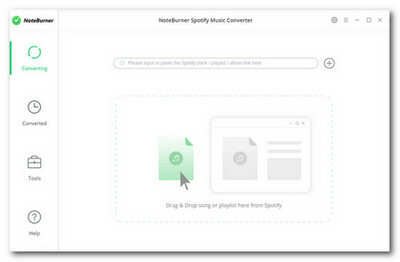 Luckily, there are many Spotify Downloaders available in the internet, which let you download your favorite Spotify music as MP3 so that you can enjoy the music on the go without network connection. 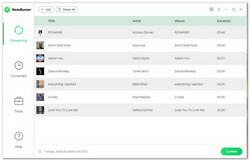 Here the article will introduce the top best four Spotify Downloaders for you to download Spotify music as MP3 music. 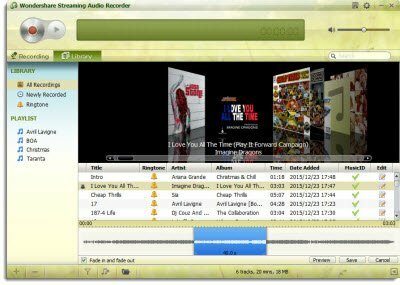 Wondershare Streaming Audio Recorder, as its name indicated, it can intelligently record any digital audio source that plays on your laptop or computer including online radio, music station, like Spotify. The recorder will directly capture your playing music to MP3 or M4A and smartly split tracks and filter out ads while recording. But it is quiet time-consuming to record hundreds of thousands of songs. Launch the program and click the "Record" button on the upper-left corner. Play the Spotify music you want to download in the media player, and then the program will start recording the music. 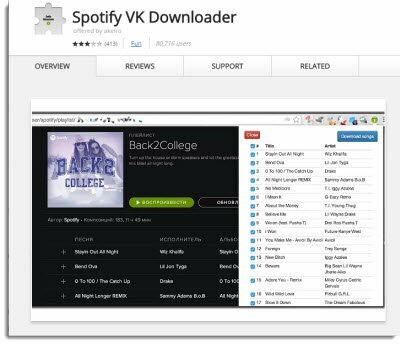 Spotify VK Downloaderis a chrome extension which uses vk.com social network to find and download tracks from any Spotify playlist. In this way you can get mp3 files. But, you should note that using vk.com might be illegal in your country - you take full responsibility for using this extension. Moreover, if the songs are not available in vk.com, you cannot get the songs downloaded. Creat a account for vk.com and log in. Go the Spotify page where you can see the playlist. To load the full playlist completely, you should scroll it down to the end. Wait until all songs are downloaded. There will be a popup window which shows you the status of the download. You can distinguish the status by the color, blue - searching, green - found, gray - not found. During the whole process, please do not close tool popup. SpotifyTube is an online service that helps you to download Spotify music as MP3 simply. The notable advantage of it lies in the full compatibility with all kinds of browsers. But, it’s illegal to download massive amount of music from unknown sources in some countries. First you need to sign in the website with your Spotify account. 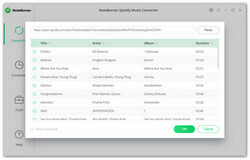 Either search the song, artist or album you want or paste Spotify url of the songs or playlist you want to get them downloaded. 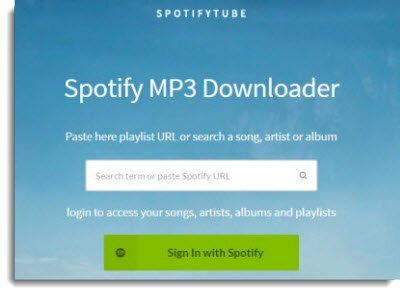 You will get the music you want after searching, just click Download to start downloading Spotify music.